BALTIMORE -- Army’s excruciating 14-game losing streak to Navy came to an end on Saturday afternoon as the Black Knights earned a hard-fought 21-17 win over the Midshipmen, CBS Sports reports. 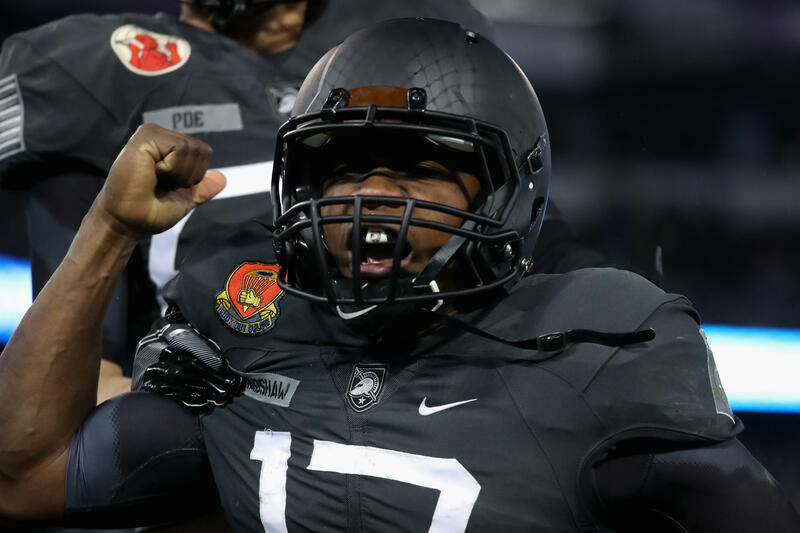 The Black Knights’ option attack gashed the Navy defense for 319 yards on the ground with Andy Davidson serving as a workhorse for Army with 28 carries for 87 yards and two touchdowns. The Army defense locked down on the Navy’s attack, which struggled to consistently get going with third-string quarterback Zach Abey at the helm. The Midshipmen could only manage 201 yards of offense against Army -- 112 rushing and 89 passing. Forty-one of those yards came on a single play. While Army dominated for most of the game, including holding a 14-0 lead a the half, Navy did hold a brief fourth-quarter lead. The Midshipmen went up 17-14 on the Black Knights in the fourth quarter after a tremendous 41-yard touchdown run from Abey -- the longest play of the day on either side. However, QB Ahmad Bradshaw led the Black Knights down the field to score the game-winning touchdown on a nine-yard touchdown run with six minutes to play. With that, Army beat Navy for the first time since 2001. And the celebration was on.